I’ve had these things for months waiting for the right time to review. ‘The right time’ in this case is that I have nothing else to review right now. The texture also not so much for me. These are like paste squashed at a million pounds of pressure into a candy. Like gritty candy corn. I like the look of them, so maybe they could have that same shell but more of a jelly bean center. So overall, not for me and I won’t be buying again. 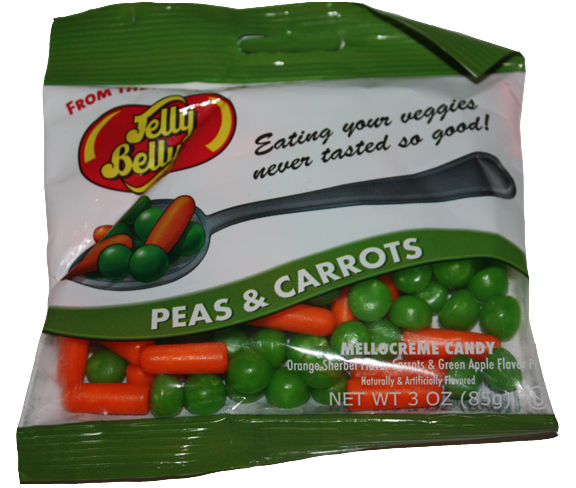 But really, for JB, it’s the missed opportunity of making a candy that has overtones of the actual veggies. 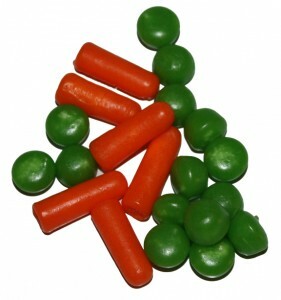 Both peas and carrots are sweet vegetables. Why not go that route? Very sage comment about going for the actual veggie tastes-I hadn’t thought about that, but you’re right. And I despise these too, but Jonny Jr likes them. I got these in an Easter basket last year. (Yes, my mommy still sends me candy!) I have one word for them: Blech! Just staring at the package makes my appetite take a nosedive. I get the concept, I really do. 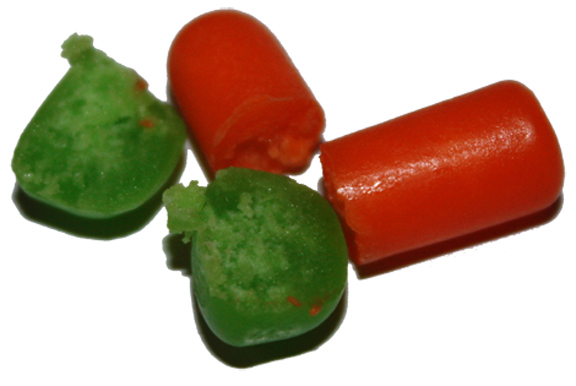 Just too many memories of horrible mushy frozen peas and carrots, packaged together and front burned into my worst childhood memories.